Memorial Day falls on May 27 in 2019 and marks the unofficial beginning of summer in Boston. Patio dining at local restaurants, warm weather, and lots to do make Memorial Day Weekend a perfect time to visit. Many Boston locals head to Cape Cod, the Vineyard, or the New Hampshire mountains for the long weekend. So for Boston tourists, that means attractive hotel rates, restaurant reservations, show and cruise tickets, and even Red Sox tickets will be easier to get than usual. You'll also find lots of fun activities, holiday sales, and free events. 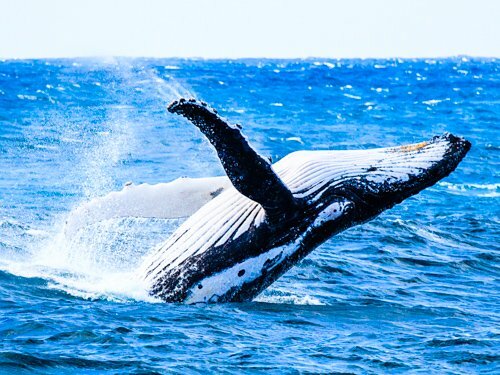 Here are 12 suggestions for Memorial Day ceremonies, events, plus fun things to do in Boston during this first long summer weekend. Memorial Day honors those who died in wars defending our country and our freedom. 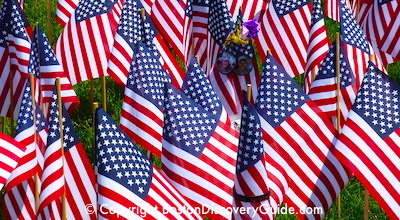 Every year, the Massachusetts Military Heroes organization plants a Garden of Flags - 37,000 of them - in front of the Soldiers and Sailors Monument on Boston Common to commemorate each of the Massachusetts service members who have given their lives to defend the United States and our freedom since the Revolutionary War. With the Boston Red Sox playing the Cleveland Indians at Fenway Park, the Celtics (maybe) in the NBA finals at TD Garden, the popular 3-day Boston Calling Music Festival underway at Harvard Stadium, Slayer at Xfinity Center plus more concerts at Blue Hills Bank Pavilion and House of Blues, and Blue Man Group making everyone laugh, there are plenty of events going on over Memorial Day weekend to keep you entertained! Plan your weekend and get your tickets now! Headliners include alt-rockers Twenty One Pilots, rapper Travis Scott, and psychedelic pop-rock group Tame Impala. Other well-known acts included indietronic duo Odesza, rapper/singer-songwriter Logic, funk/R&B singer Janelle Monáe, singer-songwriter Brandi Carlile, plus many more performers - about 55 in all. Local groups/musicians include Guster, Pile, Clairo, and Sidney Gish. If you love to shop, don't miss Boston's Memorial Day Weekend deals - you can easily save enough to pay for your weekend in a nice hotel. Because Boston's hot weather really only lasts for about 2 months, summer things get put on deep discount sale early - yes, by this weekend! Best places to look? 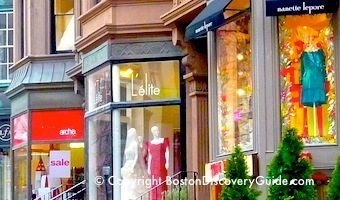 If you want to pick just one spot among all Boston shopping areas and malls, focus on Back Bay, where you'll find lots of different options - Prudential Center for upscale stores, Copley Place for international designer boutiques, and Newbury Street/Boylston Street for more designer boutiques, unique local stores, and Nike and the other big athletic gear stores. 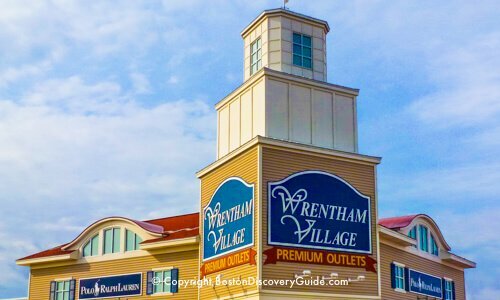 For even bigger adventure (and possibly bigger savings), Wrentham Village discount outlets and Assembly Row Outlets (5 minutes from downtown on the T) can't be beat! 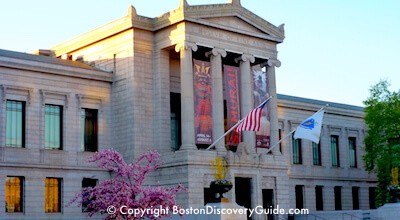 Boston's Museum of Fine Arts offers you free admission on Memorial Day (Monday) from 10am - 4:45. Lots of special family activities will be on display, as well as plenty of special exhibits, including a quilt display, the last few days of a popular Impressionism exhibition, and an exciting display of 60 contemporary Latin American works. You can also get free admission on Monday at ICA Boston - the perfect excuse, in case you need one, to visit the sizzling South Boston Waterfront. 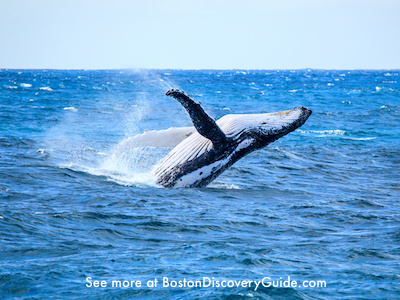 If you decide to visit on another day, remember that you can get free admission when you have either a GoBoston or a Boston CityPASS discount card. 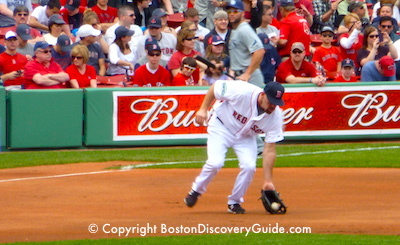 Boston by Foot, a non-profit organization, features a knowledgeable and enthusiastic group of 200+ volunteer guides who offer some of the most interesting walking tours in town at very reasonable prices - tickets generally run about $8-$20. 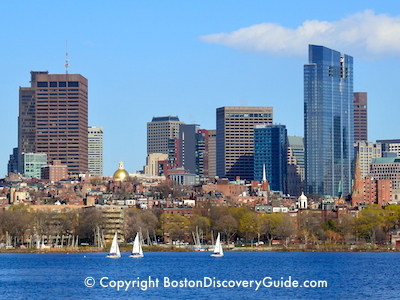 Tours on Memorial Day typically include walks around the historic Beacon Hill neighborhood, the Victorian Back Bay neighborhood, and along the Freedom Trail. No reservations necessary; pay your guide in cash when you arrive at the meet-up point. 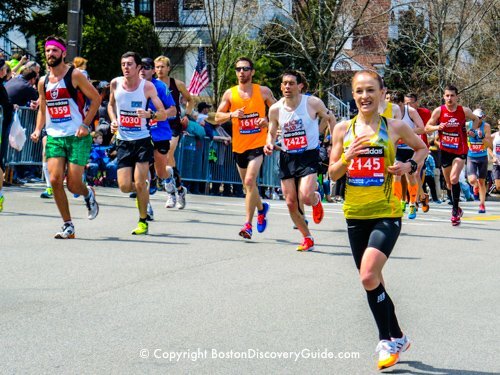 Check out times and other details on the Boston By Foot Website. Another option - try this self-guided Memorial Day walking tour from Boston Common to Fenway Park to Faneuil Markeplace and the Waterfront, or try our self-guided Greenway walking tour and stop for refreshments at Trillium Beer Garden by the High Street intersection across from the Boston Harbor Hotel. Or, walk over to City Hall Plaza (across Congress Street from Faneuil Marketplace) and explore the nine new seasonal "patios" where you'll find Wachusett Brewing's Brew Yard, Honeycomb Creamery Ice Cream, miniature golf, and more. 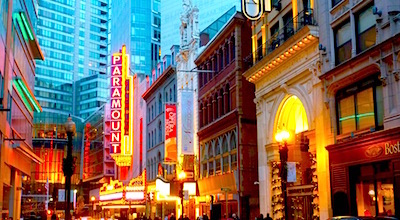 Most Boston theaters are closed on Mondays - but if you're coming to Boston for Memorial Day weekend, you'll find plenty of shows and performances on Friday, Saturday, and Sunday. For free entertainment, head to Faneuil Hall Marketplace, where Street Performers will be out in force from Saturday through Monday. Mimes, jugglers, puppeteers, musicians, magicians, and comedians will mesmerize you with their talents. With so many Bostonians (in other words, crazy Boston drivers) out of town, Memorial Day weekend presents a great opportunity to explore Boston by bike safely. Join a group tour - offerings typically include tours of the Freedom Trail, Beacon Hill, and Back Bay. Although Boston itself is on a harbor, real beaches - yes, with sand and places to lie in the sun or buy a hot dog and slush - are closer than you might think. True, these beaches aren't quite as magnificent as the Cape, but you can get to them on public transportation without being stuck for hours in traffic. So throw your swimsuit and towel into a bag, slather on some sunscreen, and check out beaches in Boston and local favorite, Castle Island. 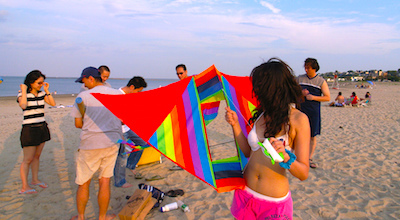 But if you're committed to going to the Cape, avoid the traffic by taking the ferry to Provincetown from Boston. 10. Cruise out to the Harbor Islands . 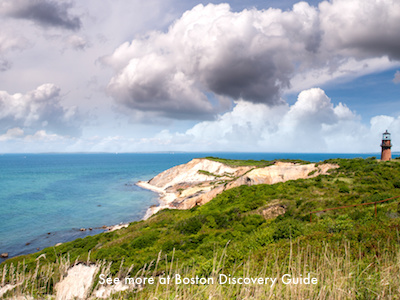 . .
You'll have to go offshore to find Boston's largest park: the Boston Harbor Islands National Park Area. 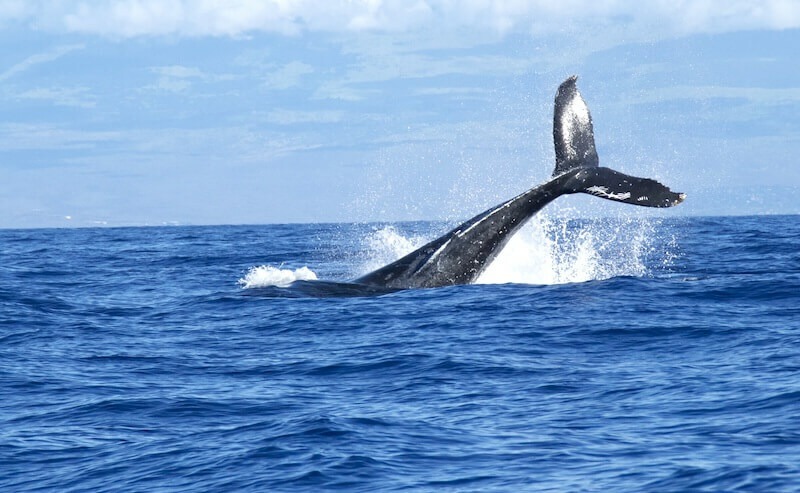 Although the park includes 32 island and 2 peninsulas, only a few of the islands are open to the public and accessible by ferry - but they provide plenty of recreation, places to picnic, and spectacular scenery. Best of all, you can get to the closest one in only 15 minutes, and it's like being in a different world. 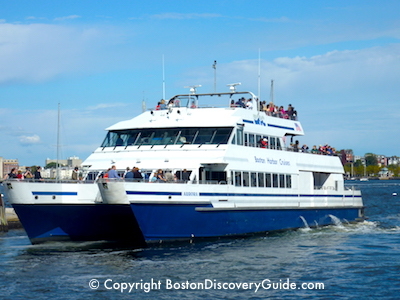 Tour Boston by boat - the best way to see the city! Although Memorial Day started as a remembrance of those who died in military service, it is also an occasion for remembering others who have departed, and one of the most beautiful spots in the Boston area for doing this is Mount Auburn Cemetery. Flowering trees and flowers, exquisite statuary and sculptures, and a gently rolling landscape complete with ponds and resident ducks fill the 175 beautifully landscaped acres. 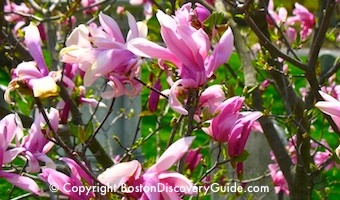 Directions to Mount Auburn Cemetery (580 Mount Auburn Street, Cambridge) by public transportation: From Boston, take the Red Line to Harvard Square. At the station, take either the Watertown Square or Waverley Square trolley (#71 or #73). Get off on Mount Auburn Street at Aberdeen Avenue. Mount Auburn is across the street - you'll see the entrance gate. Cross Mount Auburn at the light. Free admission. Rainy Day Activities in Boston - Just in case . . .